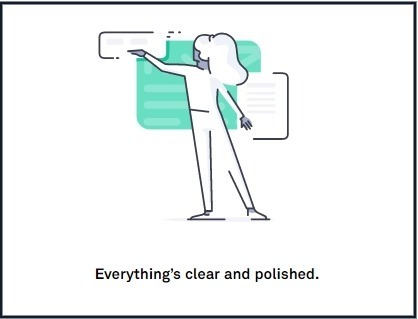 Grammarly Review 2019 – Best Grammatical Error Checking Tool! Grammarly is one of the finest grammar checking tools out there. If you’re a blogger, writer, or online marketer who puts out written or infographic content on the web, you’d know the importance of a well-written copy. If your written piece of content is full of typos and grammatical errors, you won’t be taken as seriously. 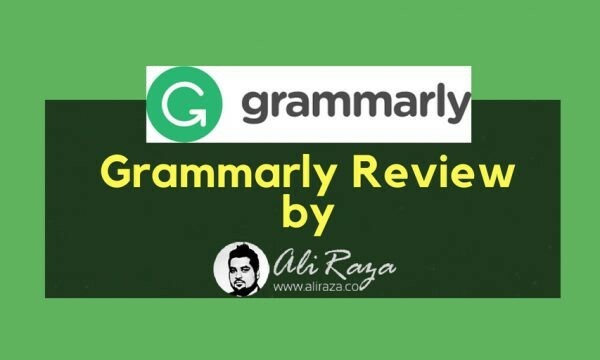 So here comes an exclusive Grammarly Review which will help you with all the grammatical and language errors. So are you looking for tool which produces accurate proofreading results? Do you want to be sure and confident that whatever you’re writing is free of all errors and easy to read? A lot of pro-bloggers have editors who edit content before publishing, but most of the bloggers have to edit their own content, which brings in the tools like Grammarly. I don’t say that Grammarly is the only grammar checking tool on the market. There are many tools out there, but Grammarly has been a fantastic tool for me. I know a lot of bloggers say the same thing, and many of them switched to Grammarly after using multiple grammar checking tools. 4.4 Who Should Use Grammarly? 4.6 What’s the difference between Free Grammarly and Premium Grammarly Versions? 4.7.2 Is grammarly worth it? 4.7.3 Do Grammarly have a browser extension? 4.7.4 Is grammarly safe to use? 4.7.5 Is Grammarly the best grammar checker? 4.7.6 Is paying for Grammarly worth it? 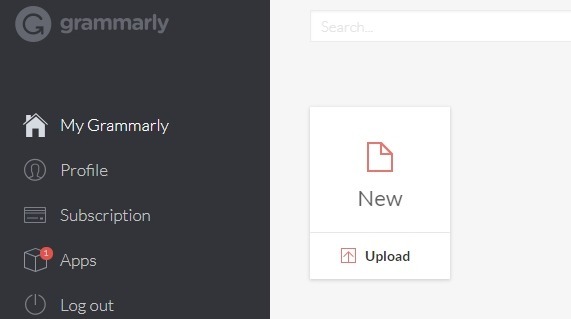 4.7.7 Does Grammarly store your text? 4.7.8 Can I use Grammarly on my phone? 4.7.9 Can We Use Grammarly Plagiarism Checker With The Free Version? 4.7.10 Grammarly Vs. Human Proofreader – What’s Your Take? 4.7.11 Does Grammarly Work with Macbook? 4.7.12 What about Grammarly vs. Ginger, Grammarly vs. Whitesmoke, Grammarly vs. Prowriting aid? 4.7.13 Does Grammarly work offline? 4.7.14 What is the Grammarly cancellation refund policy? Let’s dig deeper into the Grammarly review and see why this tool is so amazing. 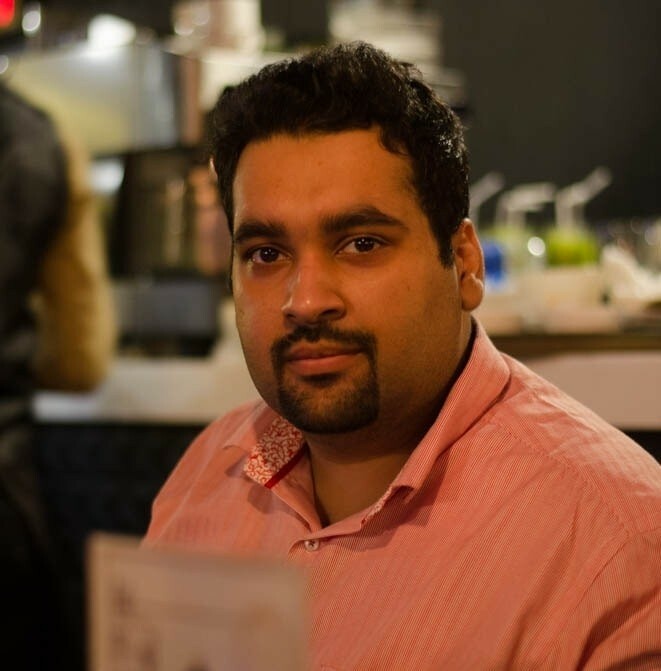 Grammarly was founded in 2009 by Alex Shevchenko and Max Lytvyn and is headquartered in San Francisco. This tool is recognised, accredited by various Professional Bloggers, Experts and has been one of the top preferred tool for anyone looking to start writing online. Able to correct majority of Grammar, English, Punctuation and Spelling Mistakes. Comfortable with all the online platforms. You might have faced some typos during your writing experience. It happens to everyone who writes content. What Grammarly does is that it highlights the spelling errors and recommends the correction; you can quickly fix the problem by clicking on the highlighted words. The spell-checker is a great feature of Grammarly, which could save us from embarrassment. Grammar mistakes are possible when you’re writing blog posts or anything else. The reason is that we are so much focused on the subject matter that we often skip the grammatical aspects. Sometimes, we skip past the grammatical errors while proofreading the content. Grammarly finds such grammar errors and highlights for us to fix them. This feature gives users a huge advantage over others who don’t use any grammar tool. Do you remember the time when we had to use a separate online tool for plagiarism? Grammarly solves this problem too. You don’t have to use a separate tool for plagiarism-checking anymore. It has built a tool inside, which gives you a quick solution of checking the text content for plagiarism. One of the fascinating features which is why i have written this Grammarly review is that it helps you improve your vocabulary by catching all the repeated words in your text. It suggests you to use the synonyms; not only does it improve your writing, but it also increases your vocabulary. What it teaches through this suggestion-system is that one must not be repeating the same words over and over again. Human proofreader is an add-on paid service which allows us to hire skilled editors to go throughout content and edit it manually for us. It’s an optional feature, which most of us might not need. The document insight is a newly added feature in Grammarly. It provides you with some data like the number of characters, words, sentences, reading time, and speaking time. It might not affect an average user, but if you’re curious about these things, then it would be helpful. The insights always help when you’re trying to improve your craft by comparing with your previous performance. One of the advanced features Grammarly has the goal setting. It offers certain goals to set by the user to help its artificial intelligence system to understand the core values of the content. It consists of Intent, Audience, Style, Emotion, and Domain. By setting your goals, you’ll be telling Grammarly that what you want and how you want its system to help you. Grammarly has native extensions for Windows, Microsoft, and Chrome. The Android and iOS versions are also available now. It certainly makes the work easier when a user doesn’t need to go to Grammarly account every time there is a need. Some users find native app bothersome so they prefer to use Grammarly in the browser only. Once you’re logged into your account, click on the “new” or “upload” to move forward. This is the stage where your content analysis begins, but you would have to choose the option to get going. You can either paste the text content or upload your document to process. There isn’t much to do at this stage because Grammarly hasn’t started suggested things to do yet. Once you go through the analysis process, then you could fix the highlighted errors. Once the text content has been processed by the Grammarly, which takes a few seconds, it would start to display the errors in the content and explain to you that what needs to be corrected in the analyzed content. If you don’t see any errors, click on the “start assistance” button on the right top corner of your screen. You can simply follow the instructions to solve the grammar or writing errors; once you’re done with that, then it finishes off the process within a few seconds. 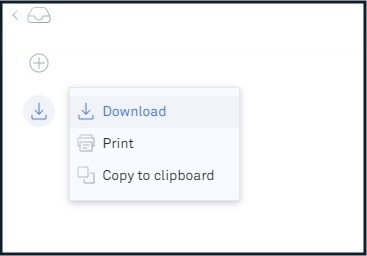 Once the analysis has been finished, you can either manually copy the whole text using the option “copy to clipboard” or download the .txt file or print the document. If you’re a digital marketer, blogger, content writer, social media expert, or an entrepreneur, then you must have the Grammarly subscription. The way it changes your writing is unbelievable. You won’t understand this unless you try it for yourself. You might be just a business person or a social media activist who tweets a lot; if you want to be 100% sure with your social media updates’ grammatical accuracy, then you should test out your social posts in Grammarly before tweeting. You might get stunned that how you never noticed some writing errors in your social media posts. If you’re a blogger, then you don’t have any excuse not to improve your writing; Grammarly comes in to help you out. The quickest way to send your reader away is start your article with the lines full of error. The majority of readers won’t even continue reading your content because it’ll spoil their mood or they might feel the lack of authenticity. So there is no question about the usefulness of Grammarly. You can start with Grammarly for free, but if you want to advance your writing skills then premium membership is required. Grammarly offers monthly, quarterly, and annual subscriptions. A monthly subscription costs $29.95 each month, quarterly costs $59.99 every three months, and annual costs $139.95 per year. What’s the difference between Free Grammarly and Premium Grammarly Versions? Grammarly is a grammar checking software that comes with a free as well as a premium version. It’s completely optional to go with either a free or paid version, but free version comes with limtation. To be honest, in my opinion. Either you go with the Paid version or with Free version. It does worth either way. If you are looking a tool which can help you in fixing and correcting errors, then make no mistake and simply opt for it. Do Grammarly have a browser extension? It’s completely safe to use and it’s recommended by hundreds of bloggers, writers and copywriters. Also it has completely verified extension by Google Chrome. So the information maybe shared, but it’s completely safe to assume and work with it. Is Grammarly the best grammar checker? It is fast, recommended by many professionals and it’s functions and services are much better than any of its common competitors. It’s accuracy and easy integration with word and other softwares is an additional addon. Is paying for Grammarly worth it? I had this question asked by many of my regular readers but i have to say that yes, it’s worth every penny. Although it’s a little pricy but it’s function pays for it. Does Grammarly store your text? Can I use Grammarly on my phone? Yes, it’s available on both android and iOs. As per their site, the keyboard integrates seamlessly on your device and making the process easier with it’s user friendly app. Can We Use Grammarly Plagiarism Checker With The Free Version? Unfortunately, the Plagiarism Checker facility is only available with Premium Version. Grammarly have a great function and it can be enabled on these applications while writing directly. There’s a useful Word add-in as well as a Microsoft Office add-in. If you have a trouble finding Grammarly or how to work with it while you are using these applicationns, I suggest downloading the desktop app and copying your content across to check for grammar and writinng issues. Grammarly Vs. Human Proofreader – What’s Your Take? There is no substitute of Human. A Human Proof reader is always better but if you do not have such resources or doesnt have any Human Proof reader in hand, Grammarly is the best choice to opt for. Additionally its also a cheaper alternative. Does Grammarly Work with Macbook? Even I use Macbook Pro and it seems to be fine with me. Either you are using iMac, Macbook Air, Pro or a simple Macbook, you can easily access Grammarly with it. If you guys can comment on this, I will be happy to write a detailed review on Best Grammar Checker Tools out there in the market. I do understand that sometimes you do not have coverage to Internet but Grammarly is an Online Tool. So you need an active Internet Connection for it’s usage. In case if you are not happy with this tool and looking for cancellation. Grammarly has a refund policy and they will be happy to refund you. All you need to do is to reach out their customer support. It has been a fantastic tool for many of the bloggers and social media experts out there. I have seen great results with it. The way it contributes to improving your writing skill is simply exceptional. You never know who comes next to your blog to read your content and you might not want to spoil your image as a blogger. I have loved this tool so far. I have noticed that the paid version does extremely well as compared to the free edition. It provides more insights, details, and explanation that what changes you should make in your content and why it’s necessary to do that. If you have any association with writing, please don’t at least test this out. The results would tell you everything. Does this Grammarly review help you in understanding the importance of writing good content? Thanks for the great shoot-out. I recommend it, specially if you’re writing anything more than 1,000 words. Grammarly is great too. I use it every week to check my work. Indeed i can second you on this. It is one of the best ever writing checking tool in the market. Do the premium grammarly checker provides suggestions to solve the problem within the plagiarized sentences? I’m having a hard time with this. Yes it does, it can help you very well with it. Hi, thanks for the review I am confused In buying paid subscription or go with free one please let me know what works the best? There is no match for the Grammarly Premium Paid version. It has so many features and functions. Very nice article and great poinnts. I would like to add some value. Recently I came across an information that Grammarly is not mobile friendly. Is it true? Waqas, this isn’t true. It’s mobile app is available and you can easily use it on your Mobile. Have you found out if grammarly isn’t mobile friendly? I practically do EVERYTHING on my mobile and will be curious, based on above comments. If you have can you please let me know what you have found out that if the Grammarly can work well on mobile, because it will be a life saviour decision for me then. Ravi, to be honest, I personally use it on my MOBILE! it has a great app and works fine over mobile. Really great well researched information on this tool. The way you explained it’s features along with comparison on pricing, I just loved it. I love this thanks for sharing. Thanks Jeremy for sharing your insights about it. Personally I’m in Love with it.